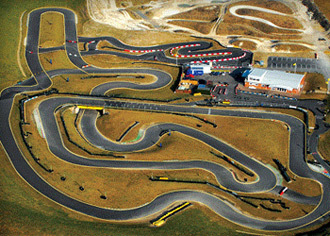 Rarely have I raced on a kart circuit where I got lost, but Thruxton just gets the nod; there are just so many corners! It can be a little frustrating for the heavier drivers as the next turn arrives with indecent haste allowing the lightweight to keep ahead but it’s a delightful place though with a lovely fleet of Thunderkarts to keep the petrolheads happy. Endurance races and regular Grand Prix events are the norm with opportunities for arrive-and-drive sessions throughout the week.